Heat oven to 425F, and set sous vide machine to 63C/145F. Place 6 large eggs in the bath for 45 minutes. Heat oil in a large cast iron on medium-low heat. Add sliced onion and bell pepper to the skillet. Cook onion and pepper mixture until very soft, about 20 to 25 minutes. Add garlic and cook until tender, 1 to 2 minutes. Add in cumin, paprika, chili powder, red chili flakes and cayenne, and cook 1 minute. Pour in plum tomatoes and season with salt and pepper to taste; simmer until the tomato mixture has thickened, about 10 minutes. 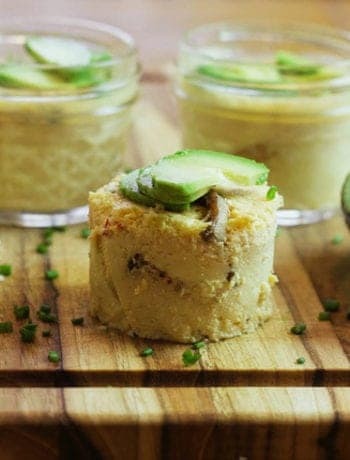 Stir in crumbled feta and cook until cheese is creamy, about 1 to 2 minutes. Place skillet in oven and bake for 5 minutes. Remove skillet from oven, and crack eggs into the skillet over tomatoes. If you want eggs to be less runny, crack eggs into skillet before baking in oven for 5 minutes. Season with salt and pepper to taste. Serve with fresh baked bread, pita bread, or challah and enjoy this incredibly delicious blend of flavors. 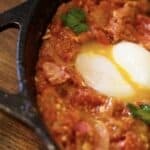 Perfect shakshuka recipe. The sous vide eggs are the exact consistency you want with this dish. 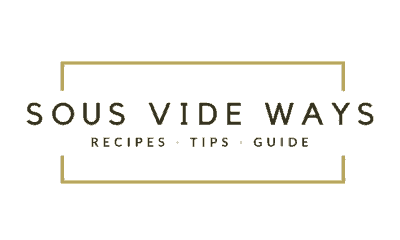 My family is in love with this recipe. 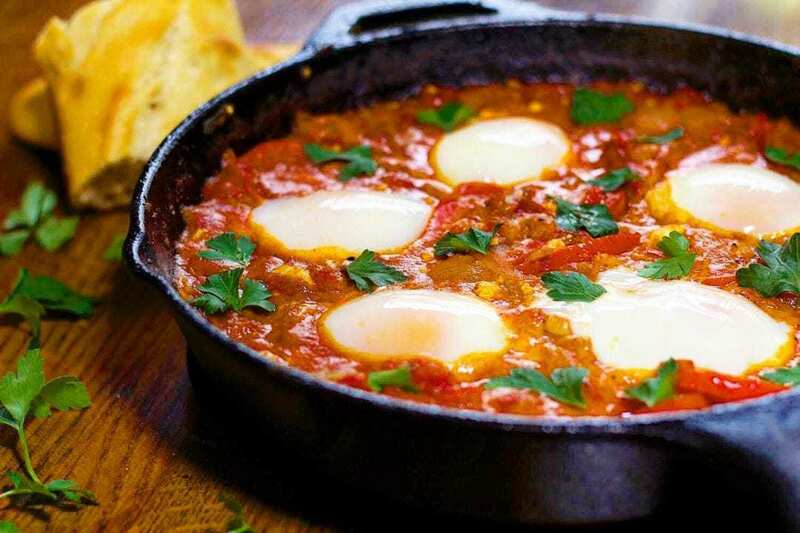 Reminds us of the shakshuka my grandma made us. Thank you!